The MERCEDES AMG PETRONAS Formula OneTM Team harnessed social media to invite fans to celebrate its second consecutive 2015 Constructors’ World Championship victory leading up to the 2015 FORMULA 1 UNITED STATES GRAND PRIX. 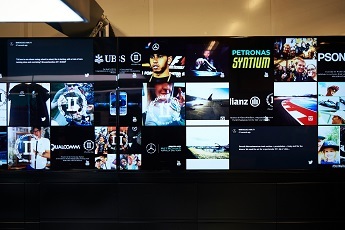 Following the team’s successful defence of their Constructors’ World Championship title in Russia, fans’ featured messages were shown on a high-definition social media display in its garage. The displays that stretch the length of both sides of the garage at every Grand Prix are powered by Tata Communications, the Official Managed Connectivity Supplier of the team. 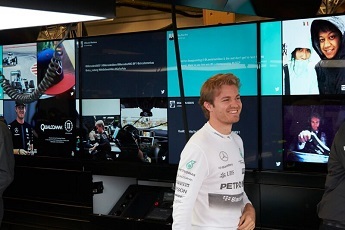 In the run-up to the Grand Prix in Austin, Tata Communications and the MERCEDES AMG PETRONAS Formula OneTM Team called on fans to share their messages via Twitter or Facebook using the hashtag #wonmoretime, which garnered 210 million mentions. Austin was the team’s first trackside appearance since the title was confirmed in the hours following the race in Sochi.